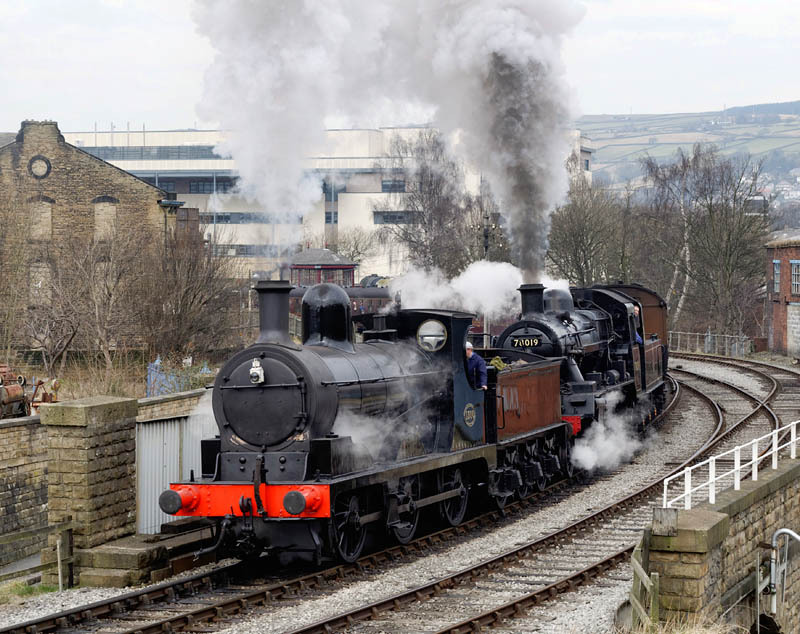 We looked in on the Worth Valley’s gala today – a “Rail Diaries” page will appear in a day or two, meanwhile here’s a taster – 1896-built L&Y “A” class no 1300 double heading 78019 (58 years younger!) out of Keighley. No sunshine, but plenty of steam. Great action on the 1 in 58 Geoff. The backdrop has changed since the 1970’s – that large white building must have been built in more recent times.